One of the key factors ISPs use to determine your email reputation is the number of spam complaints your emails receive. Receiving a few complaints is no big deal, but if recipients keep marking your emailings as spam, this is disastrous for your email deliverability. That’s why, when selecting an email service provider, you always have to make sure it supports feedback loops. Feedback loops are programs that enable senders of large amounts of emails to directly process spam complaints as opt-outs in their database. Email clients like Hotmail/Outlook and Yahoo! offer this service for legitimate businesses, where they send back a message to the email sender whenever the message is marked as spam by the recipient. Of course, signing up for a feedback loop won’t prevent a spam complaint from being registered in the first place. It will, however, ensure that you stop sending emails to someone who has marked them as spam. Where do I sign up for feedback loops? What do I look for when choosing an email service provider? Feedback loop programs return their spam reports in the Abuse Reporting Format (ARF), so your email service provider must be able to process that format. Some feedback loops require you to use DKIM, so make sure your email service provider allows you to set up your authentication data. Choose an email service provider that allows you to have your own dedicated IP address. Don’t get a dedicated IP address, and look for an email service provider that already has the Outlook/Hotmail feedback loop set up for you. There are pros and cons to having a dedicated IP address, and having one isn’t recommended for everyone. Using your own IP address to send emails gives you more control over your email reputation. If you share one with other users of your email marketing software, their actions affect the reputation of your communal IP address (and, in the end, your email reputation). Breaking in a new IP address can take some time. Email providers don’t know your new address yet, and will be hesitant to let your emails through in the beginning. So you’ll have to work on improving the reputation of your new IP address, gradually gaining the trust of the various ISPs before you can start sending at full capacity. When should I request a dedicated IP address? Signing up for your own dedicated IP address is only recommended for parties that send large volumes of emails (more than 50,000 a month) and do so on a frequent basis. ISPs use send frequency to determine one’s email reputation, so the more frequently you send emails the better. However, if you send fewer than 50,000 emails a month, ISPs simply don’t have enough data to use to determine an email reputation. There are many factors that contribute to your email reputation, and a feedback loop is just one of them. It’s an important one, nonetheless, and a factor you should consider when selecting an email service provider. Just don’t forget to focus on the other areas that help you improve your email deliverability as well. 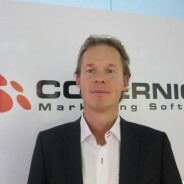 Michael Linthorst (1976) is an internet entrepreneur and CEO of Copernica Marketing Software. 10 years ago Michael set up Copernica together with his business partner. Copernica provides marketing software which enables its users to single-handedly set up (automated) campaigns using email, mobile, web pages, social media or print. Next to full-time entrepreneur, Michael is also an avid blogger on subjects such as email marketing, database marketing and eCommerce. Email deliverability checklist: Sending email is not the same as delivering.